Interested in sponsoring/partnering with us for 2019? We need your help to grant the wishes of children with life- threatening medical conditions in our community. We invite you to be a partner in our mission by becoming a sponsor of the Annual GUTS Pumpkin Carving Competition. 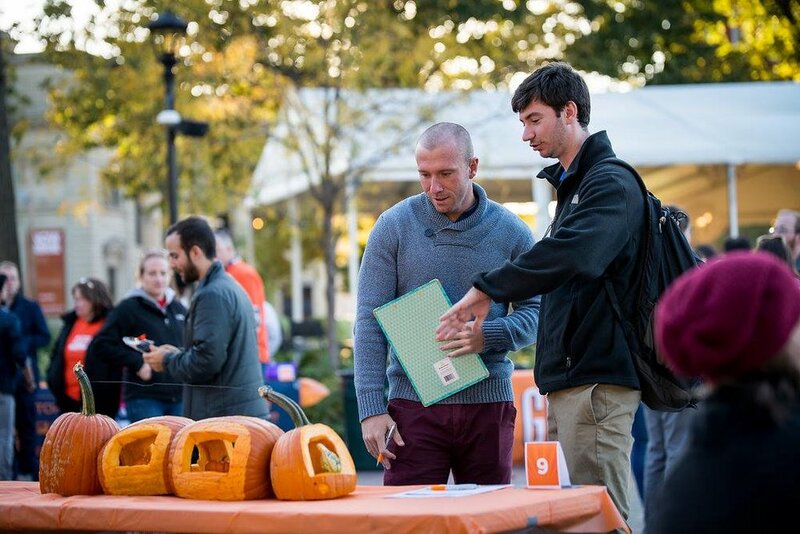 GUTS is a community building event and competition that allows local creatives to go head to head to see who has what it takes to carve the best pumpkin of the year. The pumpkins are judged by respected leaders in the community. The event encourages strong community involvement by allowing the public to come, vote, and enjoy the festivities of a high-energy event—all while granting wishes for the brave kids at Make-A-Wish®! If you’d like to sign up, please fill out the entry form and send to Jessica Stoddard. Please contact her with any questions you have leading up to the event. Thank you for your interest in donating! If you have a specific item to donate or would like to set up an in-person pick-up for our event, please fill out our donation form. Together, our great community has raised thousands to grant wishes for children in need through Make-A-Wish of Southwestern Ohio.